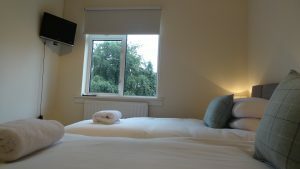 We understand the challenges faced by those working and living away from home and we are aware of the strains of having to find accommodation quickly and within a set budget. We have a selection of properties that can accommodate teams of 4 – 6 and up to 11 contractors in one property. Our properties are ideally located for main road links – ranging from close to the Edinburgh bypass and along the A1 towards Dunbar. All of our properties are fully equipped for living as you would at home so you don’t have to worry about anything other than your work.